Jacob J. Sanford has been playing with computers for as long as he can remember. From back in the days when he was learning how to program basic applications on old Tandy and Apple IIe computers, to creating simple games on his commodore 64. He created his first website in 1995 or 1996 when he was home sick while attending Florida State University. Technology has been a lifelong passion. Jacob made the jump to professional programmer over several years starting not long after graduating FSU in 1997. His degrees were in Accounting and Finance but found that he was just not drawn to those disciplines as he was to technology. So he started teaching himself at-the-time modern web application programming languages (classic ASP) and started looking for jobs he could use these new found skills. Since that jump, he has been heavily involved in the .NET Framework (since the 1.0/1.1 bits) and SharePoint (starting with the 2007 versions). Jacob lives in Tallahassee, FL with his wife, Shannan, his three kids (Matthew (21), Hayden (11), and Wendy (9)), and his two dogs (Darla and Petey). Over the years, Jacob has cemented his place in the branding niche of web application development. His passion is in making templated solutions look anything but. He is mostly known for his dedicated work towards branding SharePoint implementations but has done more than his fair share in branding other technologies as well, including .NET applications, Outlook Web Access implementations, and Silverlight. He stays current on the latest design topics, such as HTML5 and CSS3, and loves to talk about them to anyone that will listen. Design and branding have proven to be the perfect mesh of right-brain and left-brain concentrations that keep Jacob entertained and engaged. Let his love of design, as well as his experience and knowledge on organizational branding, make your sites come to life. 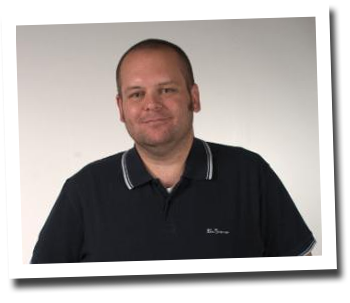 Jacob has been around the block in the 10 or 15 years that he has been doing web application development. Sure, most of his current work involves SharePoint application development. But that isn’t the extent of his experience. Jacob’s first web application was written in classic ASP accessing an Access database. He quickly moved into VB.NET with the .NET 1.0/1.1 Framework while learning as much as he could about relational databases, primarily SQL Server. He moved into C# in 2005 and hasn’t looked back. While he feels comfortable in the .NET world, where he really shines is in the Business Intelligence arena. 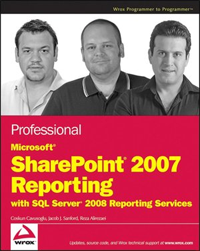 From complex stored procedures and user defined functions to generating reports in SQL Server Reporting Services. Probably at least partially due to his education and training in Accounting and Finance, numbers just make sense. Data makes sense. Business logic makes sense. Besides branding and design, business intelligence is where Jacob really sets himself apart. 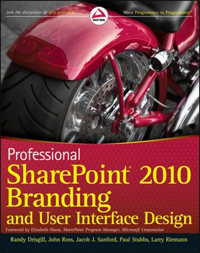 Jacob is a Microsoft Certified Professional Developer (MCPD) for SharePoint Developer 2010. He is also a Microsoft Certified Technical Specialist (MCTS) for .NET Framework 4 Web Applications, .NET Framework 2.0 Web Applications, and SharePoint 2010 Application Development. But don’t get fooled into thinking Jacob only works in the Microsoft realm. He has been known to dabble in ColdFusion, PhP, MySQL, Crystal Reports, and a handful of other technologies. If it renders on the web, Jacob has probably played with it if not perfected his skills with it. Jacob is of the non-wavering position that, if you know it, you should share it. He learned most of what he knows today on his own. This came from attending User Group meetings, going to Code Camps, reading online blogs and articles and plenty of books and magazine articles. There are ample opportunities to learn if you are dedicated, and Jacob monopolized on that. So, with that being true, he feels an obligation to pay it back to the community that brought him up. He has presented around the country at user group meetings, code camps, and special events. He created and ran for two years the SharePoint Experts Exchange for Developers (SPEED), a user group dedicated to SharePoint technologies in Tallahassee, FL. He organized several tracks at code camp, including a SharePoint track and a Design track. He presents on topics ranging from HTML5 and CSS3 to Reporting Services to .NET and Visual Studio to SharePoint 2010. If he learns it, he shares it. He has also written several books. 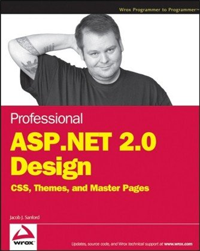 His first book, Professional ASP.NET 2.0 Design: CSS, Themes, and Master Pages, was published in September 2007 under Wrox Press. 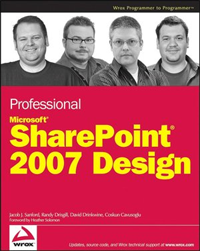 Since then, Jacob co-authored the following books under Wrox Press: Professional SharePoint 2007 Design (September 2008), Professional Microsoft SharePoint 2007 Reporting with SQL Server 2008 Reporting Services (September 2009), and Professional SharePoint 2010 Branding and User Interface Design (November 2011). If your group would like to have a knowledgeable speaker talk about relevant topics to today’s developers, Jacob can do it.